Waterford Victoria Orchid Decorative Pillow, 18"Sq. This Victoria decorative pillow has a quilted damask motif on a solid taupe ground and reverses to an elegant woven foulard pattern in shades of taupe and white. 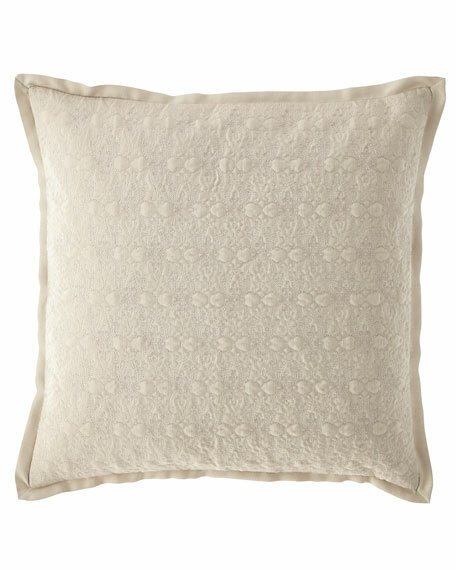 Damask pattern pillow with solid flange.